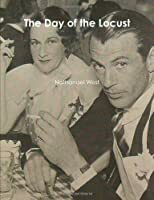 Two classic novels are included in a single volume, first, Miss Lonelyhearts, about a newspaper reporter seeking to avoid writing an agony column, with only his cynical editor Shrike in the way, the second, The Day of the Locust, about Tod Hackett, who pines for a role in the film industry, only to discover the emptiness of Hollywood's inhabitants. Original. A good book, I especially liked the main characters, Tod and Homer. A very unexpected ending too.